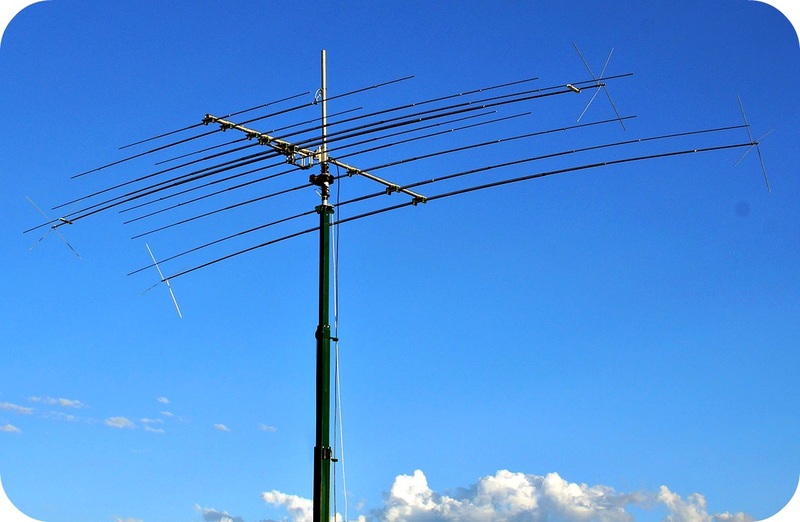 On six meters, you can do almost anything that can be done on an HF band. Hams have earned WAS, WAC and DXCC on six. Six meters can sound like a contest weekend on 20, filled with signals and pileups galore. What makes it so different from the HF bands is that you never know when this excitement will come. That ear-blasting cacophony of signals can change into a completely dead band in only a few minutes. Or vice-versa! Six meters offers nearly every kind of propagation known. At the peak of a sunspot cycle, when the solar flux rises to between 150 and 200, the F-layer skip familiar to HF operators can provide worldwide contacts on six. If the flux goes significantly above 200, DX work on six can even get fairly reliable. Propagation modes more familiar to VHF operators, such as sporadic-E, auroral, meteor-scatter, transequatorial and moonbounce, all have been used on six meters. Sporadic-E is the most common workhorse for six-meter operators. Peaking around the solstices (June and December), this mode of propagation can provide contacts over a few hundred miles or a couple of thousand miles or more with a “double-hop.” It comes back every season, even during the sunspot minimum. Sporadic-E was essentially discovered by hams during the 1930s, when the old 5-meter band (56 MHz) produced contacts covering “impossible” distances. The “E-skip season” runs from May to July, with another, shorter, peak in December and early January, but this propagation mode can appear at any time. A sproadic-E opening typically lasts for a few hours. For a thorough discussion of Sporadic-E, see the article by Emil Pocock, W3EP, in the April 1988 issue of QST. Today, it’s easier than ever to get on six meters. Many of the newer HF rigs come with six-meter capability built in. There also are transverters, such as the ones from Ten-Tec, that will put your HF rig on six, and single-band rigs such as MFJ’s “Adventure Radio.” If you’re interested in DX, avoid the FM-only six-meter rigs and get one capable of CW and SSB operation. You don’t need a lot of power. When six is open, it’s open! Antennas for this band are readily available commercially, but also easy to homebrew. A dipole for six meters is only a bit over nine feet long, and even a wire dipole, in a good location, will perform well. At this length, it also is easy to make a rotatable dipole from aluminum tubing. A three-element Yagi will perform admirably, and makes a nice weekend construction project. Ground-plane and J-Pole antennas also work fine for six meters. While antenna polarization makes little difference for DX work, it is important if you also want to work other six-meter operators within ground-wave range. 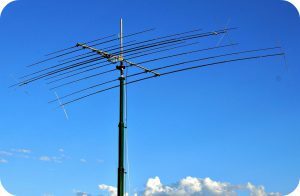 Most operators with Yagis or rotatable dipoles use horizontal polarization, so if you rely on a vertical ground-plane or J-Pole, you may miss out on local and regional six-meter nets, which can provide a nice way of keeping up with weak-signal VHF happenings. One way to get both polarizations in one antenna would be to build an “L” antenna for six, adapting the 10-meter design of W4RNL presented in the December 1999 QST, page 52.